Assata Richards is a native of Houston, Texas and received much of her education in County Line, which is small close-knit community in East Texas. After receiving a Bachelor’s Degree from the University of Houston, she earned her Master’s and Ph.D. from Pennsylvania State University in Sociology with a concentration on political and community participation, research methods and mass incarceration. After serving as a professor at the University of Pittsburgh, she returned to her community in Houston, Texas, to work with Project Row Houses, a non-profit arts organization established by African-American artists & community activists in Houston's historic Third Ward. As a scholar and community organizer, she is fulfilling her lifelong commitment to social change and justice. 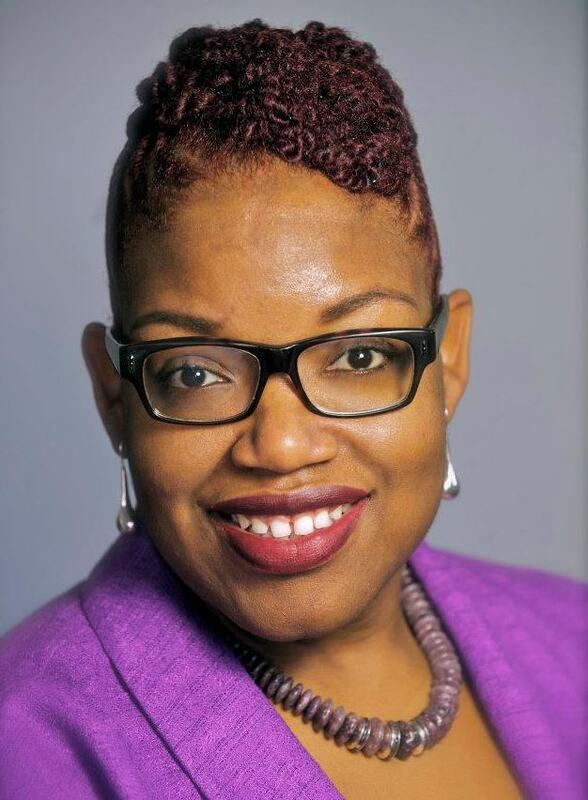 She is an adjunct professor in the department of sociology at the University of Houston and was a candidate for Houston City Council in the recent 2013 municipal elections. Most recently, Assata is the founding director of the Sankofa Research Institute, which she is a community-based nonprofit with the mission to create knowledge to build community. Assata Richards is one of the latest UH Alumna to lend her expertise and perspective to the MA in Arts Leadership Program. This semester she is teaching "The Arts and Community Engagement." tCAL: What was the path that took you to your current position? What have been key points along the way? AR: I got involved, as a community member, with an arts organization known as Project Row Houses. I participated with the non-profit arts institution in the program for young mothers. Living and being a part of the community introduced me to arts, in a public, communal setting. Since you’re a sociologist by trade, how does this tie into your work with the arts? My sociology-based understanding of society helps me see the connection between sociology and the arts: seeing transformative art and its impact, the effect of bringing artists and people together, and artists using art to connect with the general population. Artists are cultural workers and sociology is a study of culture. What is a pressing issue you’ve noticed in the arts community, and what is your response to this? In Houston, there is a concern of adequate funding for the arts. There was a recent study showing that our city spends $7 per capita on the arts while other cities spend $35. We need to allocate resources in order to recognize and acknowledge the cultural diversity and celebration Houston is known for - equity and distribution of equity. There’s no question that Houston is one of the most diverse cities. Does our allocation transmit that diverse celebration? We need to appreciate our culture. It’s one thing to be diverse, and another to appreciate it and use it as a building block of Houston’s collective experiences. We need to be representative of the art offerings available and show we supported them as a city. What do you have you found to be the philosophy of art leaders in our community? How did your creative work create a leadership position for you in the greater arts community? My greatest asset is that I’m curious. Curious about the way we interact. My curiosity has influenced me the most. I’m curious about our world, how we shape it in a way that values the collective needs. I have a desire to transform the world in the things that I do, in the impact of my work. The goal of the course is to provide a theoretical foundation of the emergence of that intersects and engages communities. I want to give students an understanding and overview of the trajectory of the evolution of art and this field [arts leadership] within art. Students have an opportunity to see where this work fits in terms of leadership and types of artists. They develop a toolkit of understanding skills and resources to be leaders in their professions. Most of all, I aspire to nurture an intellect of curiosity and critical thinking skills to affect leadership. I believe moving forward, that arts leadership is enriched when there is collaboration between disciplines: public policy, communication, business, arts. This is a pool that is applicable to so many sectors in our community. We shouldn’t operate in silos; we need to expand and grow all in fields.